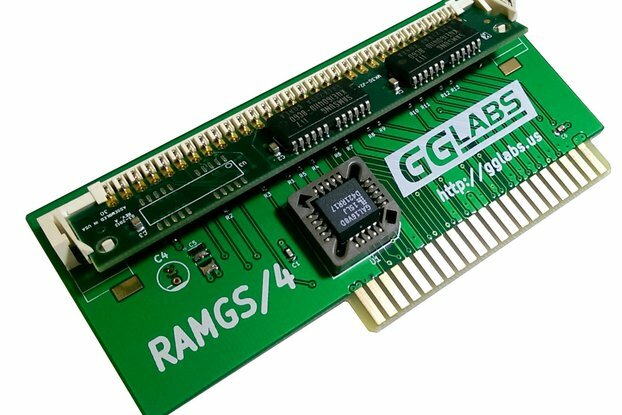 This cartridge will add 24KB of RAM expansion to bank 15, via the cartridge port, into user memory map space. 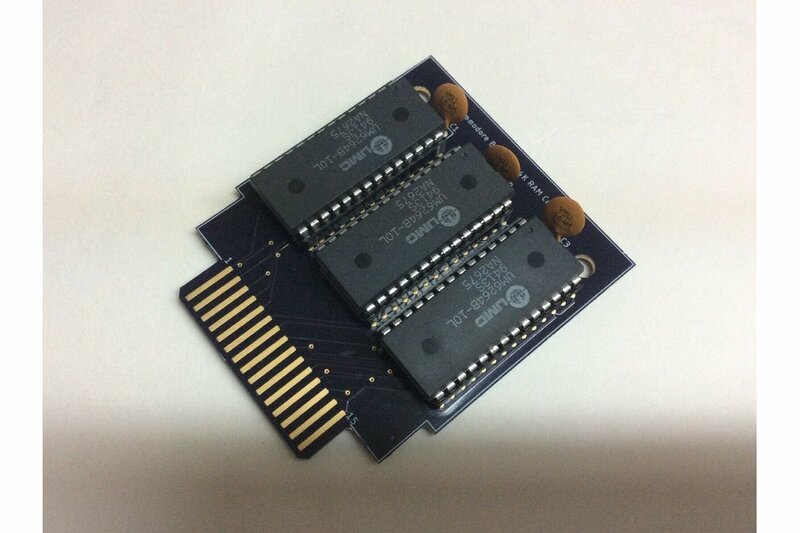 This is a cartridge that adds 24KB RAM to bank 15 in the user expansion space of the memory map. 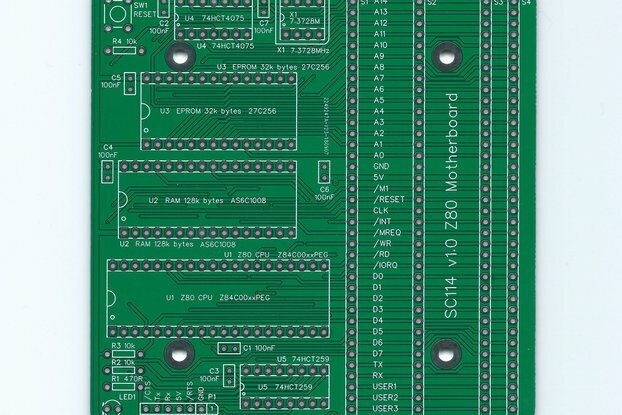 It uses 3 static RAM devices along with decoupling capacitors in its design (brand of SRAM chip and capacitor may vary from photos - whatever I have in parts stock at the time). 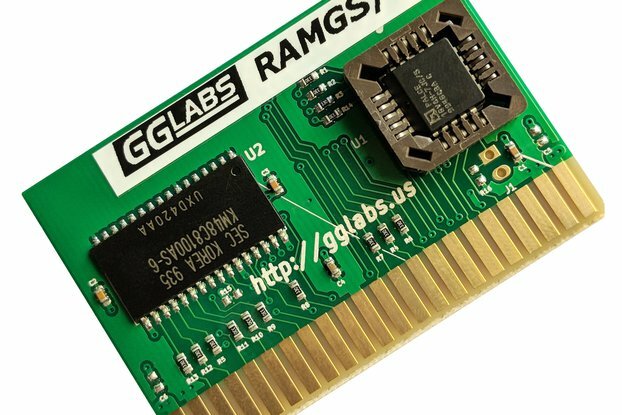 This RAM expansion cartridge is for the Commodore B Series computer models (sometimes known as CBM-II models) such as the USA/Canada B500, B128-80, CBM 128-80, and CBM 256-80 and in the EU 610, 620, 710, and 720. It will also work in the P500 models and protoype models such as the B700. I had a commercial cartridge from 1983 that provided similar capability, but when that became unrepairable I designed my own replacement for its purpose. You can occassionally find it useful to have this extra RAM in bank 15 when tinkering on a program, or trying to develop something you might want to put into a cartridge ROM later. 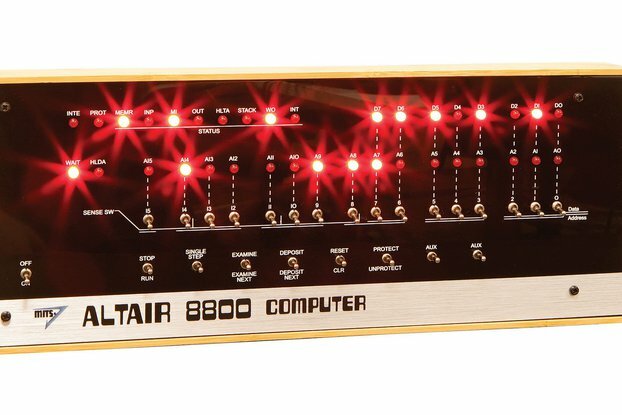 General retrocomputing stuff. Anything for the Commodore B Series computers is ultra rare as commercially the line was abandoned by Commodore as the IBM PC established dominance in the business world. I think the Commodore B Series computers are important in the history of Commodore Business Machines, and so I was motivated to do this design for the fellow collectors of them. Shipping only available within the United States of America at this time.